In isolation, they are suitably disturbing; together, and in conjunction with a thoughtful denouement, they form a satisfying experience. As a reviewer, one is constantly balancing the desire to describe a production, with the need to avoid spoilers for those who might wish to attend. On occasion, I have fallen foul of this ‘tight-rope walk’- often through over-exuberance. The ‘horror’ genre – especially in a live theatre environment – is one that cannot easily withstand such spoilers. This is because – for the shocks to be effective - the show’s audience needs to ‘hand over’ their ‘fight of flight’ response; in other words, they must be surprised. With that in mind, I shall strive to give little away when describing the content. 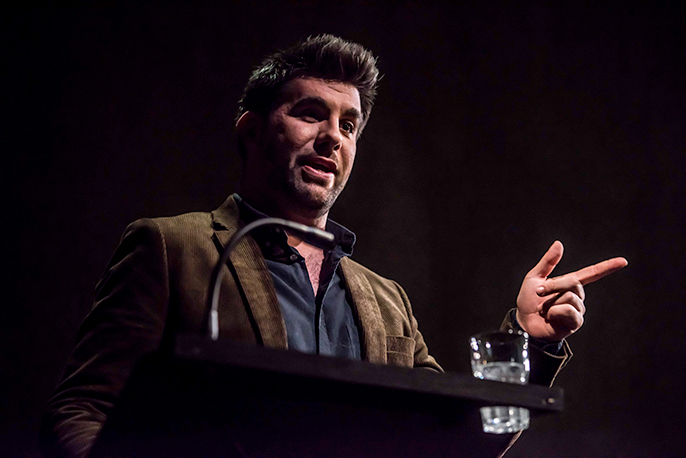 The show starts with parapsychologist ‘Professor Goodman’ (Simon Lipkin) delivering a lecture on unexplained psychic phenomena. In it, he explains – having conducted extensive case studies – his skepticism of ‘supernatural’ phenomena, whilst also sharing the three examples that he couldn’t explain. These three tales – recounting the interviews of a haunted janitor, a troubled college student, and a stressed financier – form the basis of the ghost stories. Director Sean Holmes conducts events superbly, while Nick Manning’s clever Sound Design works in perfect tandem with James Farncombe’s exquisite Lighting to create - and re-create - just the right atmosphere. Similarly, Jon Bausor’s Set Design is both flexible and evocative throughout, striking just the right balance between ‘wide-canvas paranoia’, and ‘enclosed-space claustrophobia. Indeed, the ‘deliberately immersive’ aspects of the set carry though into the stalls…and beyond. The four (credited) actors all perform their sections creditably, yet at a slightly ‘heightened’ intensity, appropriate for both the genre and the show’s time-constraints (90 minutes straight through). Created by award-winning writers Jeremy Dyson and Andy Nyman, the show’s success does not depend solely upon ‘jump scares’. 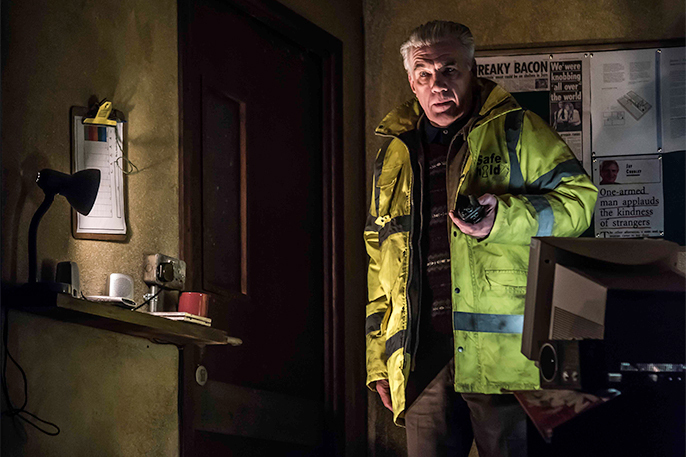 Having already enjoyed two successful West End runs, and been made into a lucrative feature-film, Ghost Stories has already entered theatre folklore; on the evidence presented, it’s no surprise as to why that is. On a side note, at the performance I attended, both Dyson and Nyman took part in one of the more entertaining Q&A sessions I’ve witnessed. They were funny, insightful, inspiring and warm. When asked to share what he found most ‘scary’, Nyman lamented that the ‘closing-off’ of debate and the fear of sharing and expressing individual ideas was the most frightening of developments in these fractured and divisive times. Indeed... it’s enough to make you scream.